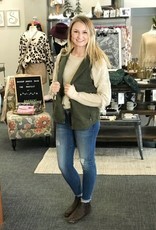 This olive vest can be worn with various outfits. 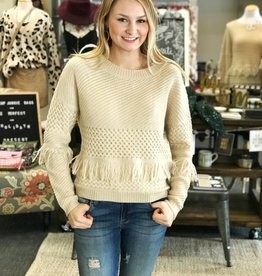 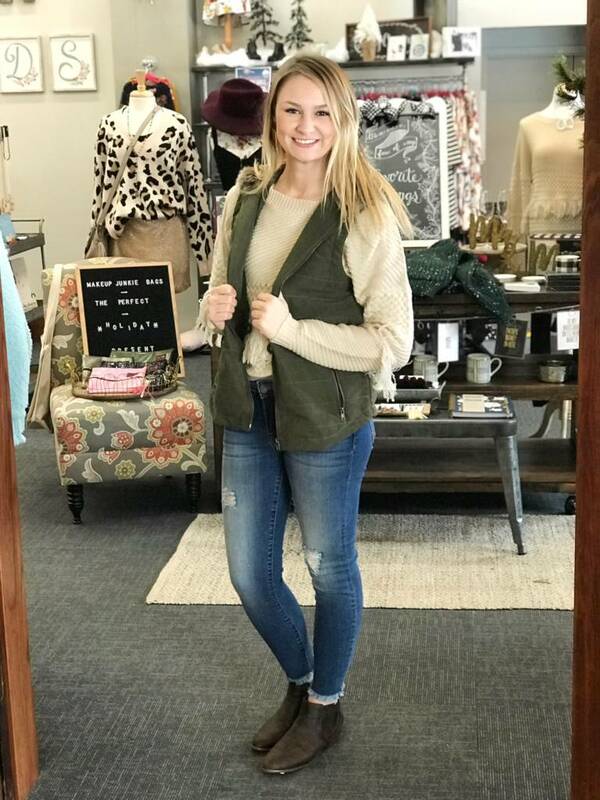 We paired this vest with our favorite fringed sweater and some KUT jeans! 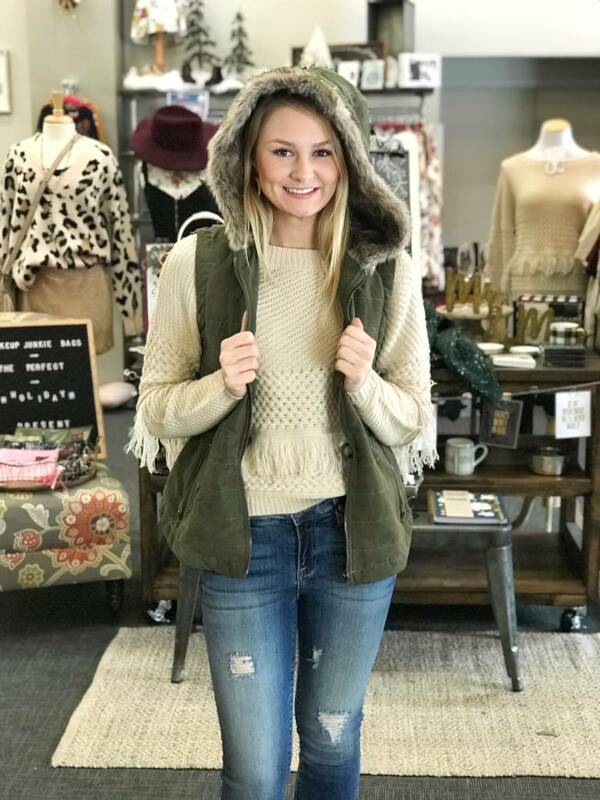 Our favorite thing about the cozy vest is the faux fur hood!